In this riveting sequel to the USA TODAY bestseller If I Run, evil lurks, drawing Casey out of the shadows ... but there is light shining in the darkness. Casey Cox is still on the run, fleeing prosecution for a murder she didn't commit. Dylan Roberts-her most relentless pursuer-is still on her trail, but his secret emails insist he knows the truth and wants to help her. He's let her escape before when he had her in his grasp, but trust doesn't come easily. As Casey works to collect evidence about the real murderers, she stumbles on another unbearable injustice: an abused child and a suicidal man who's also been falsely accused. Casey risks her own safety to right this wrong and protect the little girl from her tormenters. But doing so is risky and may result in her capture-and if she's captured, she has no doubt she'll be murdered before she ever steps foot in a jail cell. 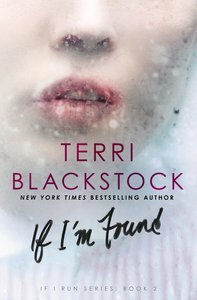 About "If I'm Found (#02 in If I Run Series)"
Order now to secure your copy when our stock arrives. Other edition is available. 9780310332541 0 Available. Expected to ship in 6 to 7 weeks from Australia. Casey Cox is still on the run after being indicted for murder. The hunt that began with her bloody footprints escalates, and she's running out of places to hide. Her face is all over the news, and her disguises are no longer enough. It's only a matter of time before someone recognizes her. Dylan Roberts, the investigator who once hunted her, is now her only hope. Terrifying attempts on Dylan's life could force Casey out of hiding. The clock is ticking on both their lives, but exposing the real killers is more complicated than they knew. Amassing the evidence to convict their enemies draws Dylan and Casey together, but their relationship has consequences. Will one life have to be sacrificed to protect the other? "Crisp dialogue and unexpected twists make this compulsive reading. . ." -Publishers Weekly review of If I Run. Order now to secure your copy when our stock arrives. Other edition is available. 9780310332435 0 Available. Expected to ship in 6 to 7 weeks from Australia. Casey Cox is in the frame for the murder of her friend Brent. She is innocent, but must go on the run. Hired to track down Casey, Dylan Roberts digs into her past and finds she doesn't match the profile of a killer at all. But the police won't listen, and Casey has to stay one step ahead.